We need to get back to the days where it was easy to talk to strangers and it was unnatural not to be polite. Back to the days where people actually believed in love and looked out for their neighbors. We need to start loving ourselves again. We each need to be the change we wish to see in the world. We need to heal ourselves and start loving ourselves again. Happy people are successful people. This is simply because being happy makes it easy to stay motivated to reaching your goals. Your thoughts have a very significant impact on the life you lead and the quality of the relationships you will have with family members, friends, and significant others. Some even reason that our thoughts and beliefs can have an even stronger effect on our health than modern medicine. 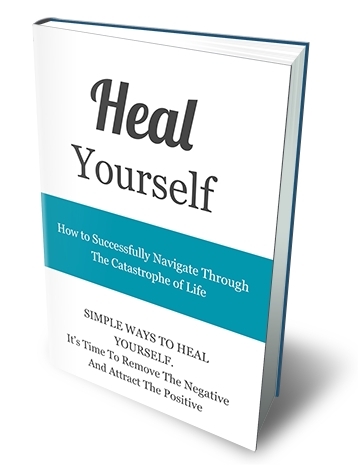 This ebook is intended to help you heal yourself of all the scars and the influence of all the negativity around. I guarantee that learning to rid yourself of the pain of this world will drastically improve the quality of your life from this point forward. The universe has a way of rewarding the good in us and helping us to find the good in others.